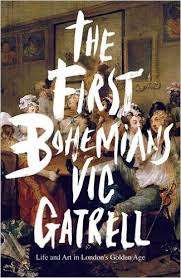 I’m a big Vic Gatrell fan, ‘The Hanging Tree’ was a fascinating book about the change of opinion regarding public hanging (useful before I hanged some characters), ‘City of Laughter’ was a funny book about visual satire and now we have ‘The First Bohemians’ about Covent Garden and the art it produced. One of my favourite elements of his writing is how partisan he is. If he prefers something, he tells it. His delight in the eighteenth century habit of writing ‘niftily to the point’ as opposed to the nineteenth century’s ‘windy tosh’ is always a delight to me, as I have those same prejudices. 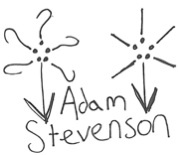 The book is divided into two parts, ‘Covent Garden’ and ‘Artists’. The first section took us through the history of how Covent Garden became the place it was in the eighteenth century. It tells us about the types of people who mixed, the kinds of places they lived and the sort of lives and jobs they had - all reflected through different kinds of art. We have architectural art, caricature and satire and the ‘low’, ‘Dutch’ real life art of people like Hogarth. We then had some chapters about the loose, hand-to-mouth life of artists, the prominently male focus of the art world. This then went into a struggle between Joshua Reynolds and the Royal Academy’s neo-classical focus against the real world focus on people like Hogarth. Next is a chapter on Hogarth’s struggles against his own genius of depicting real people, another re-appraising Rowlandson as an important artist of real life, a chapter about the Gordon riots (which he argues pushed artists out of the area) and a finale about the very Victorian Ruskin’s inability to understand JMW Turner’s upbringing in the Covent Garden Hodge-podge. I most enjoyed the first section, it was the fullest and most evocative picture of Covent Garden I have ever read and the pictures helped a lot. I very much enjoyed it, and will use a lot of it when I re-draft my ‘Odes to the Big City’. I also enjoyed the chapters that furthered this and focussed on the artists, though I’m still not convinced we can call the people of Covent Garden Bohemian. Even following his definition; ‘an attitude of dissent, from the prevailing attitudes of the middle class’ as most of the people in Covent Garden were the middle class, as he went to pains to explain in the earlier parts of the book. Also, people like Hogarth were desperate to be of a higher social status and the writers wrote for money - I just don’t think there is the anti-middle class element to call them Bohemian. In my first reaction to the book, I didn’t feel that the later chapters grew very organically out of the earlier ones. It felt a little like one of those books made out of previously published essays that have been lightly re-written and put together. But the more I think about it, the Rowlandson chapter (for example) may have seemed a little removed from the overall Covent Garden subject matter, he served as a case study for how the kind of art that emerged from the mess and mix of the place influenced him. I can’t tell if the book ran out of puff or if I did. That said, it was a very interesting book, enjoyably written, with a good eye for the telling detail as well as the big picture and I recommend it as a wonderful evocation and celebration of a certain time and place.